ODESSA, TX—In the midst of yet another embarrassing clean-up, local woman Melissa Crosby, 43, told reporters Thursday that her old refrigerator has completely lost the ability to control when it releases water. “At first, I’d notice a little bit of condensation trickling off the door every now and then, but lately there’s been a giant puddle seeping from its defroster tube just about every morning, the poor old thing,” said Crosby of her incontinent household appliance, while using a bath towel to soak up the growing pool of liquid emanating from the 25-year-old icebox. “I feel bad having to clean up after it and keep it dry, but I’m not sure if there’s anything else I can do at this point. 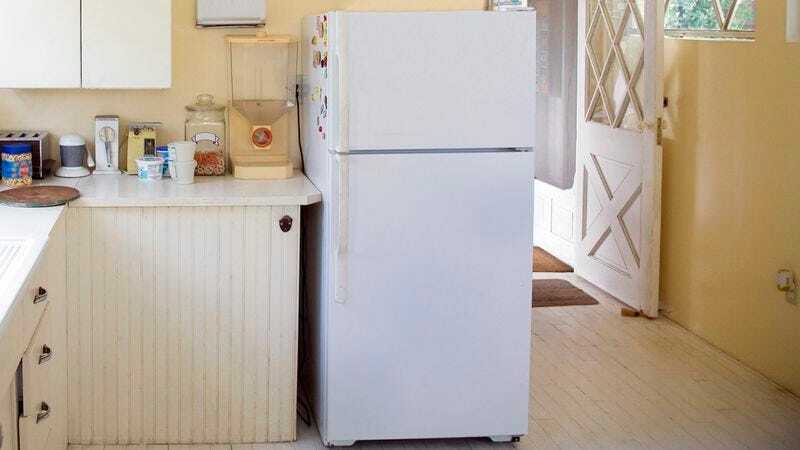 This fridge is getting up there in years, and certain functions just break down after a while.” Crosby added that her aging refrigerator’s involuntary leakage has been made even more humiliating in light of a recent power outage that caused the appliance to discharge the contents of its freezer compartment all over itself.